Here at Gravograph, we built our reputation supporting engraving businesses during conception, startup and ongoing operation. New Hermes was the original developer computerized engraving machines and we have followed that innovative past into the present form of Gravograph. The same quality, power and precision exists in the current range of engraving products. Trophy and Awards shops recognize that the Gravograph product line of laser engravers, rotary engraving machines and engraveable materials are key to their success, due to the flexibility of the machines and the power of the common software platform. The broad range of engraving materials we can provide makes Gravograph a "one stop" shop. 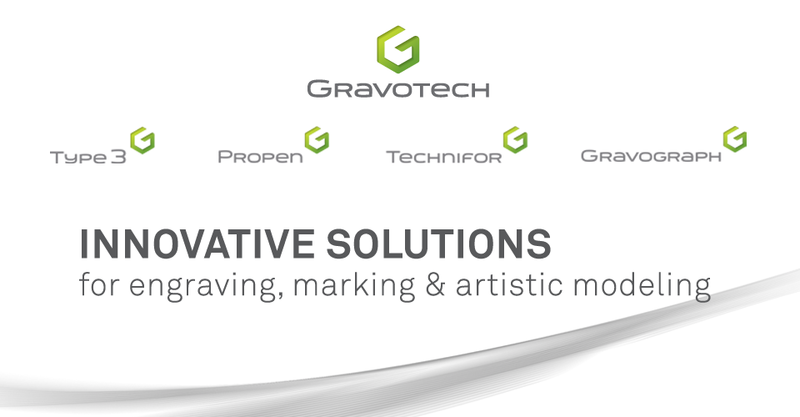 Any of our experienced sales or support staff would be happy to detail the advantages of working with Gravograph to build you business and sustain it for the future. Please click on the BIG G logo, to visit the website and get more information! !